We love making new things to help photographers present their work. These accessories have been designed and developed by us through deep consultation with our clients. We are huge fan of our clients and are always looking to discover what they want and need in the future. Don't hesitate to contact us with any suggestions! This new product in our range is just so beautiful it makes people gasp when we show them. Not only is it a hand made vintaged brass framed glass box, but it fits your lovely prints and usb inside. What's more we can personalise it to your brand or your client's names with engraving the front of the glass. The glorious box fits 6 x 4" prints. Featured photographers Lark & Bear. Products shot by Bentinmarcs on Kodak Portra 400 120 processed and scanned by us. We know many photographers like to give USB drives with their work on them. We also believe it's important that your clients see what high quality printing looks like. USBs are great, but you can't see your shots until you plug them in and digital files are hard to store for future generations! Prints solve both problems. As with many of our products we can personalise the box with your branding or your client's name. These lovely things come in brown paper and linen, coming soon, black leather. All of our boxes, these and our album boxes are hand made in Australia. Is there anything better than lovely soft leather? We now offer these divine hand made leather usb pouches. Made by us on site from off cuts of our leather covers (coming soon!!) 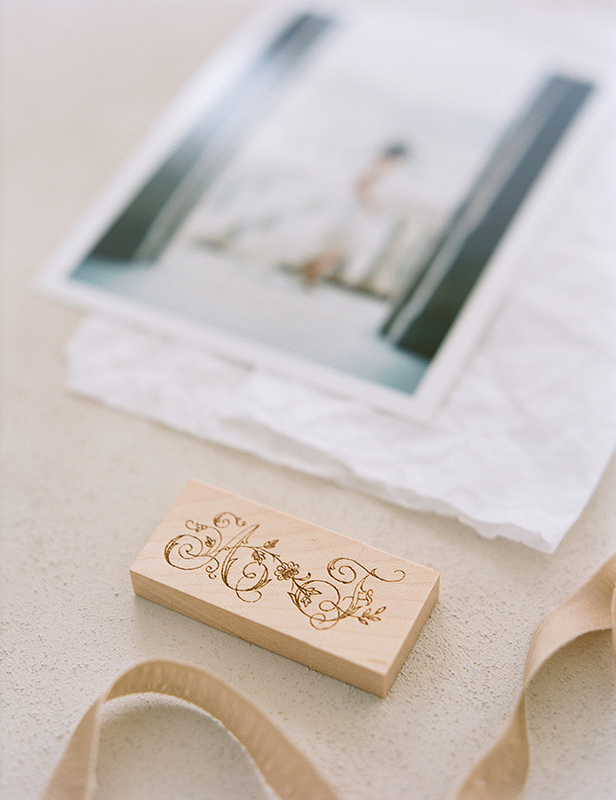 these gorgeous things can be engraved with anything you like, just like our USBs. No minimum order of course, choose from cream, sand or rugged brown leathers and brass, nickel or antique studs. Bliss! Featured photographers Mark Andrews Studios. Products shot by Bentinmarcs on Kodak Portra 400 120 processed and scanned by us. We sourced from the USA some gorgeous 8gb* wooden USB flash drives for you. Thanks for some cool new technology, we can etch, quite deeply on these wooden drives. The etching can be quite fine, so do be careful of trying to squeeze too much detail in, clean bold text and simple logos work the best. At this time, we need you to use this photoshop template to set out your text, in time it will be available in our ordering software, but this works well. Link to download template. *8gb is what the drives are rated at, but practically, almost 1 gb can be used by system files, depending on the format and operating system used. An example is an 8gb drive on Windows10 may only have 7.19gb available, where a Mac may show 7.73gb.